Powerful lines complement soft hues with this bed ensconced in whispered elegance. 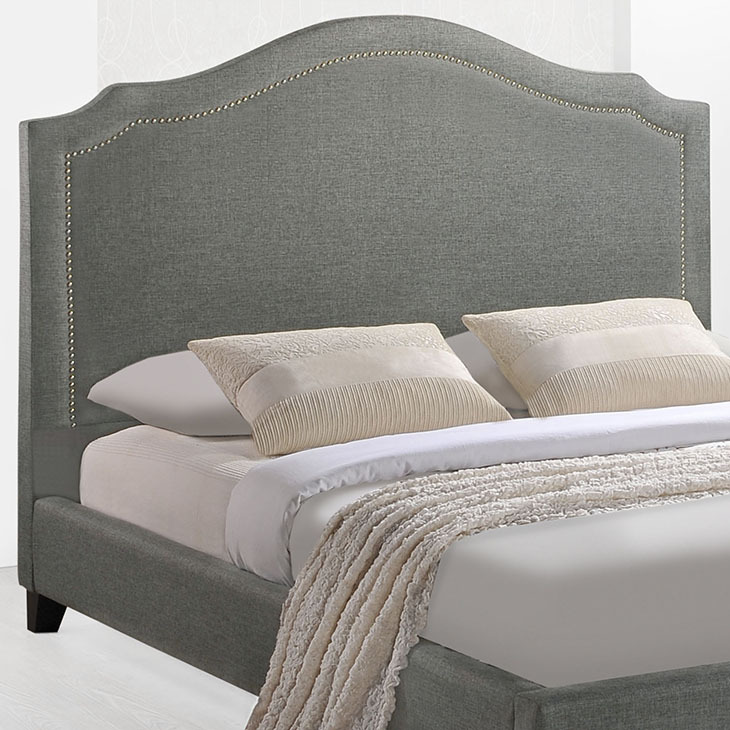 Luxuriously crafted with a nail head decorative trim and tufting, Charlotte is a bedroom centerpiece that imbues elegance, while bestowing a gentle flow over your surroundings. The Charlotte bed features a wood slatted base to provide for a comfortable sleep without the need for a box spring. Mattress and linens not included. The bed frame is constructed of solid rubber and four dark wooden legs.